Although terrorists use a variety of methods to inflict harm and create fear, bombs are used most frequently. According to the U. S. Federal Bureau of Investigation, bombings accounted for nearly 70 percent of all terrorist attacks in the U.S. and its territories between 1980 and 20011. This document focuses on common sense principles that will be useful in a bombing event. Know your work, school and community disaster plans. If you are not familiar with the plans, contact your supervisor, school administrators, or your local fire department for information. Identify an alternative hospital. Hospitals closest to the event are always the busiest. Visit http://www.redcross.org/preparedness. The site provides guidance on creating a disaster plan and steps you can take now to protect yourself and your loved ones. What should I do during a terrorist bombing? Avoid crowds. Crowds of people may be targeted for a second attack. Avoid unattended cars and trucks. Unattended cars and trucks may contain explosives. Stay away from damaged buildings to avoid falling glass and bricks. Move at least 10 blocks or 200 yards away from damaged buildings. Follow directions from people in authority (police, fire, EMS, or military personnel, or from school or workplace supervisors). Call 9-1-1 once you are in a safe area, but only if police, fire, or EMS has not arrived. Help others who are hurt or need assistance to leave the area if you are able. If you see someone who is seriously injured, seek help. Do not try to manage the situation alone. A biological attack is the deliberate release of germs or other biological substances that can make you sick. Many agents must be inhaled, enter through a cut in the skin or be eaten to make you sick. Some biological agents, such as anthrax, do not cause contagious diseases. Others, like the smallpox virus, can result in diseases you can catch from other people. Unlike an explosion, a biological attack may or may not be immediately obvious. While it is possible that you will see signs of a biological attack, as was sometimes the case with the anthrax mailings, it is perhaps more likely that local health care workers will report a pattern of unusual illness or there will be a wave of sick people seeking emergency medical attention. You will probably learn of the danger through an emergency radio or TV broadcast, or some other signal used in your community. You might get a telephone call or emergency response workers may come to your door. Are you in the group or area authorities consider in danger? What are the signs and symptoms of the disease? Are medications or vaccines being distributed? Where? Who should get them? Where should you seek emergency medical care if you become sick? Do not assume, however, that you should go to a hospital emergency room or that any illness is the result of the biological attack. Symptoms of many common illnesses may overlap. Use common sense, practice good hygiene and cleanliness to avoid spreading germs, and seek medical advice. Consider if you are in the group or area authorities believe to be in danger. If your symptoms match those described and you are in the group considered at risk, immediately seek emergency medical attention. Follow instructions of doctors and other public health officials. If the disease is contagious expect to receive medical evaluation and treatment. You may be advised to stay away from others or even deliberately quarantined. For non-contagious diseases, expect to receive medical evaluation and treatment. Protect yourself. Cover your mouth and nose with layers of fabric that can filter the air but still allow breathing. Examples include two to three layers of cotton such as a t-shirt, handkerchief or towel. Otherwise, several layers of tissue or paper towels may help. 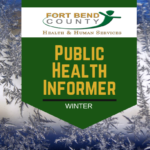 Watch TV, listen to the radio, or check the Internet for official news and information including what the signs and symptoms of the disease are, if medications or vaccinations are being distributed and where you should seek medical attention if you become sick. If you become sick seek emergency medical attention. Radiation exists in the natural environment from the sun, air, soil, plants, building materials and in the human body. It is also found in man-made sources such as medical and dental X-rays, smoke detectors and television sets. While these low levels of daily radiation are not harmful, we should be prepared in the event of a terrorist attack that could cause a nuclear blast. Take cover immediately, and go as far below ground as possible. Any shield or shelter will help protect you from the immediate effects of the blast and the pressure wave. Quickly assess the situation. Consider if you can get out of the area or if it would be better to go inside a building to limit the amount of radioactive material you are exposed to. Shielding: If you have a thick shield between yourself and the radioactive materials more of the radiation will be absorbed, and you will be exposed to less. Distance: The farther away you are away from the blast and the fallout the lower your exposure. Time: Minimizing time spent exposed will also reduce your risk. Take shelter against your desk or a sturdy table. Check for fire and other hazards. Take your emergency supply kit if time allows. Use a wet cloth, if possible, to cover your nose and mouth. Use the back of your hand to feel the upper, lower, and middle parts of closed doors. If the door is not hot, brace yourself against it and open slowly. If the door is hot, do not open it. Look for another way out. If you catch fire, do not run. Stop-drop-and-roll to put out the fire. If you are at home, go to a previously designated meeting place. Account for your family members and carefully supervise small children. Never go back into a burning building. If possible, use a flashlight to signal your location to rescuers. Avoid unnecessary movement so that you don’t kick up dust. Tap on a pipe or wall so that rescuers can hear where you are. If possible, use a whistle to signal rescuers. Shout only as a last resort. Shouting can cause a person to inhale dangerous amounts of dust. After a disaster, rats, mice, and other animals might get in your house. They can spread disease, so you need to keep them out of your house. Seal holes in buildings to keep animals out. Throw out any food that animals may have touched. Throw out food or water that animals can eat or drink. Throw out or get rid of things that animals can hide in or hide under. Throw out trash as soon as you can. Put trash in a covered trash can or dumpster. Wash things you use for eating and cooking after you are done with them. Stop the Spread of Germs that Make You and Others Sick! Cover your mouth and nose with a tissue when you cough or sneeze. If you don’t have a tissue, cough or sneeze into your upper sleeve, not your hands. Clean with alcohol-based hand cleaner. Note: You may be asked to put on a surgical mask to protect others.